Fastening Solutions is very pleased to announce that PDF versions of our entire product catalogue and now available through the web site. It is now possible to produce PDF versions of product descriptions through the individual product pages, simply by clicking the link “click HERE for a PDF version of this brochure page”. 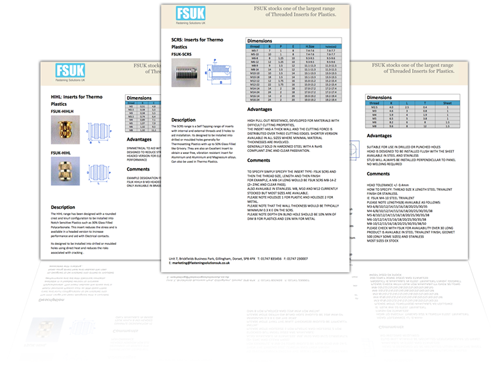 Alternatively three ready assembled brochures are also available for threaded brass inserts, captive fasteners and the full brochure are available directly from the products page.